The Red Eye Splif Stik – the perfect smoke! This is no ordinary cigarette holder, using the Splif Stik is guaranteed to revolutionise the way you smoke hand rolled cigarettes. This is all due to the way that the smoke from the cigarette is drawn through 175 mm pathway and as the smoke passes through, tar is collected in the maze path and the smoke is cooled giving you an altogether smoother smoke. To use the Splif Stik, just roll your cigarette as you would normally do, but take care to ensure that care to roll the cigarette tightly around the roach. This then will mean that the taper on the roach will give you a perfect cone each and every time; if you prefer you can, as an alternative, use the Splif Stik as a chillum. Just in the same way as we suggest with bongs, the Splif Stik need to be kept clean and we recommend that this is done after about three or four smokes. To do this, just unscrew the top part of the chamber which give access for easy cleaning. 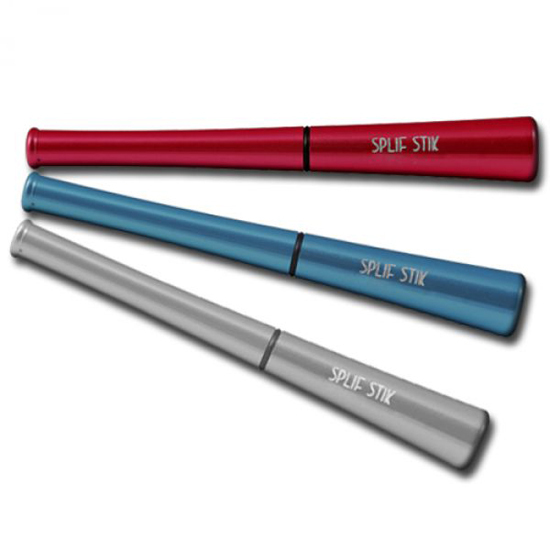 The Splif Stik not only gives a cool smoke, it looks really cool too and you have a number of colours from which you can choose, and all depending on stock levels we offer Fuchsia Red, Magenta, Blue, Black, Rose Pink, Gold, Turquoise Gun Metal, Aluminium, Deluxe Brushed Metal and Deluxe Heavy Chrome. For the discerning smoker, the one who like a cool satisfying smoke, the Amazed pipe by Red Eye is a perfect choice. 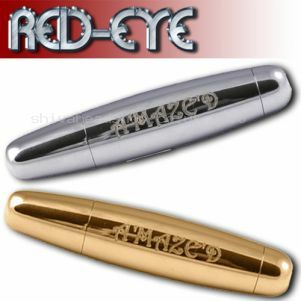 This pipe can be regarded as the premium deluxe pocket pipe in the smoking products market and has a system that works by directing the smoke through Red Eye’s unique 320mm journey in the “maze”. This takes out the tar in the product which ensures that not only is the smoke cleaner, but cooler as it reaches the mouthpiece. The pipe not only will give the user a truly satisfying smoke but is a piece of precision engineering, weighing less than a lighter it looks and feels good and is easily carried in a pocket, handbag or it can be hung from a cord around the neck. Often this pipe is referred to as the “smokeless pipe” because after you have taken a cool draw on the pipe it only produces smoke when you exhale, it can be immediately put back in your pocket or bag and will not smoulder, until it is time to relight it. Simple to use just unscrew the flame end of the pipe to reveal the 12.5mm gauze set in to the body and fill it with your desired smoking mixture, then screw back onto the body and enjoy. 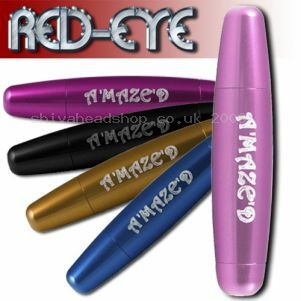 The Amazed is made from anodized aluminium, is offered by us in six eye catching colours, pink blue purple orange aluminium and black, it has a hard protective coating and it is very easy to unscrew for cleaning. The Amazed Pipe has been a favourite with us here at Shiva Head Shop for some time now and has a range of features that will suit just about every smoker out there. This compact pipe can be taken just about anywhere and the deluxe brass and chrome finish makes this pipe shine! The Deluxe Amazed pipe features an internal maze design; this makes the smoke travel over 30cms before hitting your mouth, providing you with a cool and smooth smoke. It also reduces the amount of tar and other harmful substances that you inhale. The Amazed Pipe is really easy to use and is only lit when your inhaling, so once you’ve had your hit you can put it safety back into your pocket; it will stop smouldering until the next time you light it. The Amazed pipe unscrews for easy cleaning and comes complete with a built-in steel filter meaning you don’t have to buy spare pipe screens. The Deluxe Amazed Pipe is available now for just £22.99 and comes in brass or chrome finish. Red-Eye are synonymous for making quality smoking paraphernalia and the Bul-It Travel Pipe is no exception. This pipe is designed to give you a quick and string hit just when you need it and is super easy to use. To use the Bul-It Pipe simply, unscrew the bottom (this becomes your bowl) and fill with your chosen herbs, screw it back on, light the end and inhale, easy! The Bul-It Pipe comes with a built-in gauze, so no need to buy any pipe screens and the filter system ensures that you get a smooth and clean smoke every time. 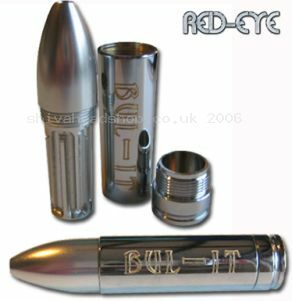 The Bul-It Pipe is available now for £23.99 and has a chrome finish. 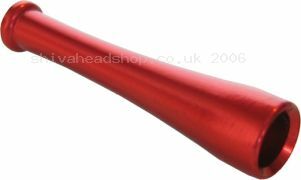 The Amazed Pipe from Red-Eye has been popular since its release and is ideal for any regular pipe smoker and comes in a range of funky colours to suit everyone. The Amazed Pipe features an internal maze system which pulls the smoke though 30cms, this not only provides a silky smooth smoke, but also traps most of the unwanted tar making it healthier too. The great thing about this pipe is that it only works when you light it, meaning that you can have a sneaky hit whenever you want, then just pop it back into your pocket and it will stop smoking till the next time. The anodised aluminium shell mean that the Amazed pipe is hard wearing and the built in filter means that you don’t need pipe screens. The Amazed Pipe is available now for just £19.99 in black, silver, pink, blue, purple and orange. Red-Eye has been manufacturing quality smoking accessories for years and the One Hit Pipe is no exception. The One Hit Pipe is designed like a mini chillum and is compact and discreet, just for when you need it. To use simply pack your favourite herbal blends into the end cup your hand around the base (like a chillum), light and inhale; the One Hit Pipe has enough space to provide you with a decent hit, sweet! The One Hit Pipe is a great travel pipe and can be taken with you wherever you go, it is available now from Shiva Head Shop for just £5.99 and is ideal for anyone who enjoys a sneaky toke. Please note: colours may vary from picture. The Red-Eye Rokit V5 Bong is a marvel to behold and is quite possibly the best bong ever made! The Rokit V5 has a specially designed filtration unit which descends down the middle of the bong, once submerged the smoke is pulled through a 14 port dual chamber that splits the smoke up into thousands of tiny bubbles providing one of the smoothest smokes you’ll ever experience. 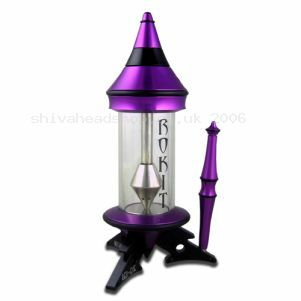 The Rokit V5 Bong is a limited edition model and comes with a number and certificate of authenticity. It can also be taken apart for easy cleaning. Be careful when taking apart the bong as the element is made out of glass; should you break the glass new Rokit V5 replacement elements are available. Everyone’s adding a bit of bling to their lives, whether it’s a car, phone or laptop shiny accessories are in! So why not join the craze with the new Red Eye Bling Bongs? These bongs are made from premium acrylic and custom finished by hand. 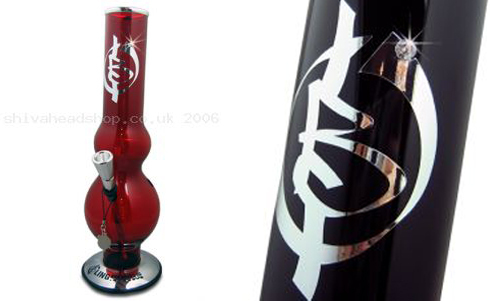 One of the most popular Red Eye Bling Bongs is Big Punishment, a 35cm tall bong with a large bubble base allowing for more water and thus a smoother smoke. It come with an anodized aluminium diffuser that contains six holes which breaks up the smoke making it smoother and meaning that more toxins get absorbed by the water. The polished mouthpiece and base give it a unique style and each bong comes with cubic zirconia embedded in the stem for that added bling. The Big Punishment bong comes with a drop in cone for easy use and two packs of pipe screens so you can get started straight away.